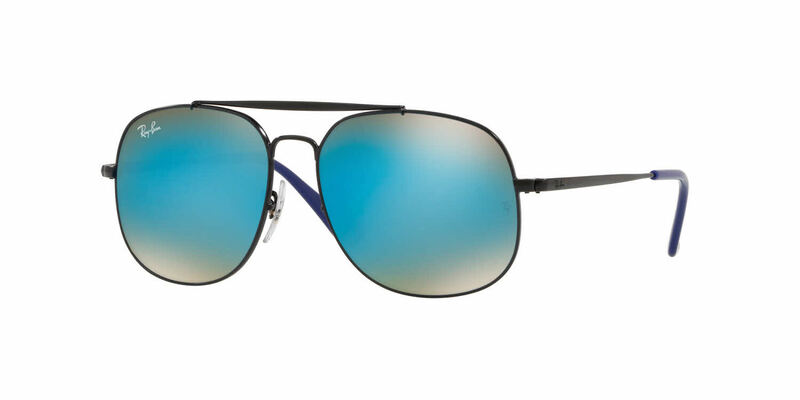 Ray-Ban is one of the world's foremost eyewear designers today. Ray-Ban's unparalleled popularity comes from its top-quality materials, performance-centric but stylish designs, and its unmistakable Ray-Ban logo. Ray-Ban changed the face of eyewear and continues to revolutionize lens technology, push the envelope on design, and add innovations to its own timeless classics. Ray-Ban's children's collection stays true to this philosophy and makes sure that kids, too, NEVER HIDE. Due to manufacturer's restrictions, Ray-Ban products cannot be shipped to Australia. Ray-Ban Junior RJ9561S is a Full Rim frame for Boys and Girls, which is made of Metal. Ray-Ban Junior RJ9561S Sunglasses come with a cleaning cloth and protective carrying case.